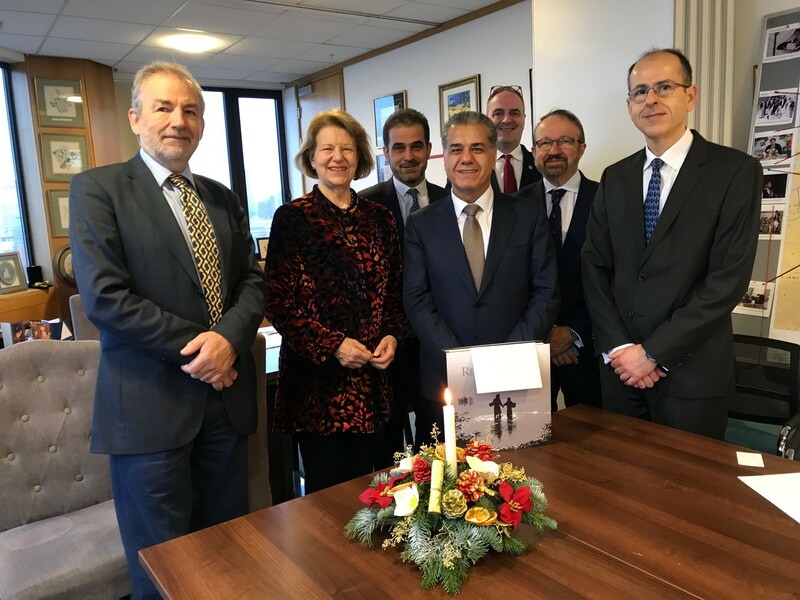 IBBC hosted a round table discussion with Minister Falah Mustafa Bakir, Head of the KRG Department of Foreign Relations, at the IBBC offices in Westminster on 21 December 2018. IBBC Member representatives were invited to hear the Minister give an update on the situation in the KRG, as well as engage in a Q & A afterwards. Baroness Nicholson of Winterbourne, President of IBBC and The Prime Minister’s Trade Envoy to Iraq was joined by John Scott, IBBC’s Oil & Gas Advisor, Carl Powell of Pell Frischmann and more.